At one time Stewartby was home to the largest brickworks in the world. If you live in the Southern half of the country and have a house built in the last century there is a strong possibility the bricks came from Stewartby. When the brickworks were closed they rather handily filled the clay pit with water to make the largest stretch of sailing water in, well, Stewartby. The 2017 Inland Championship, originally scheduled for last October, was postponed due to the onset of Storm Brian so we helpfully decided to re-run it in conditions almost as windy as last autumn and much, much colder. The entry list was curtailed as a result of the forecast and it’s fair to say that most of the fleet were proper bricking it before heading out for race 1. That broad reach to the start looked decidedly unappealing to be fair. Race 1 and Paul Watson (Bowmoor) had pulled out a healthy lead as the race progressed. One could almost say he looked as safe as houses. Safe that is until he was hit by a mega gust on the bear away to the penultimate run. The ensuing swim let Steve Bolland (Bristol Corinthian) through which he held to the finish despite a late dip of his own. 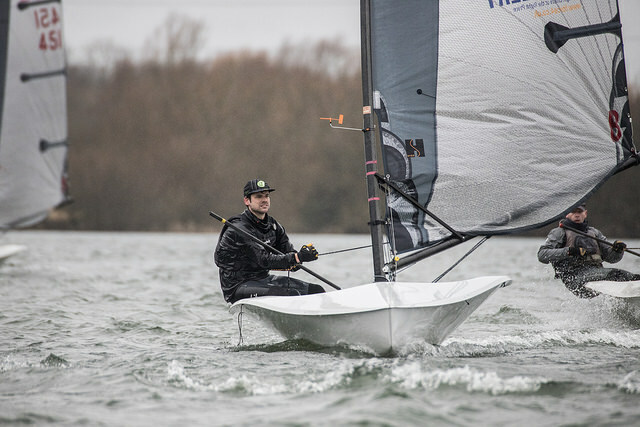 Second was Harry McVicar (Draycote) with Watson recovering well to complete the podium. McVicar won the pin end of a biased line in race 2 and led the fleet out to the left and, you would have thought, an unassailable lead by the first mark. Hitting hard left on every subsequent beat as it had worked on the opening beat proved that his lead was not built on solid foundations though as Paul ‘hit the trees on the right’ Watson got a lift from heaven on the last beat to take the lead and the win from McVicar in second and Bolland third. Bolland, using McVicar’s playbook from race 2, led the fleet at the first mark in race 3 and opened it up nicely on the second beat. 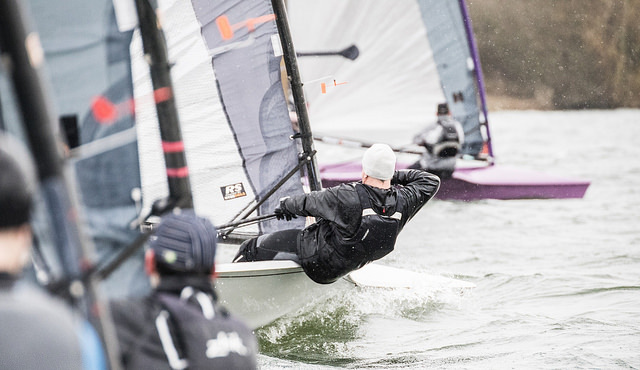 However, his lead proved nothing but a house of cards as he rather carelessly delved into Watson’s playbook from race 1 with a messy nosedive and a chilly swim. 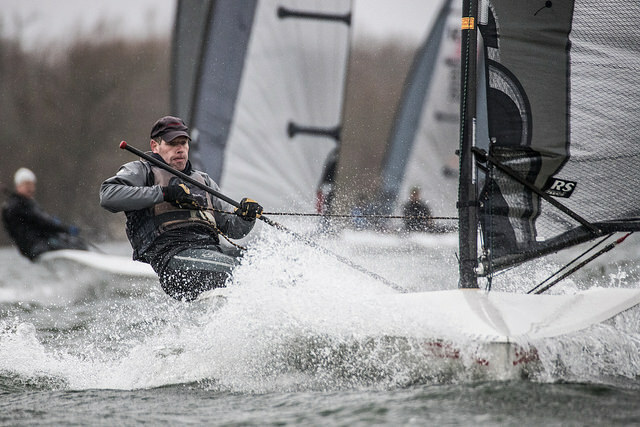 The main beneficiary was Pete Ellis (Stewartby), he of the foolish grin (http://www.yachtsandyachting.com/news/192118/RS300-Nationals-at-Exe-day-1), who had that same foolish grin on his face again as he wrapped up a decisive win from the ever-consistent McVicar and Richard Le Mare (Notts County). In the clubhouse it was clear that McVicar was the overnight leader, building a decent series by dint of sailing fast and not falling in. Would he keep it up on day 2? Would he heck! Of more immediate concern, though, was the excellent free beer and chilli by Richard Hargreaves with added thermonuclear sauce if required. If day 1 was full on then day 2 was weapons-grade windy with gusts into the high twenties (they seemed more) and a sub-zero wind chill so it was unsurprising there was a reluctance to head out early with most of the fleet arriving at the start area pretty much as the warning gun sounded. Bolland led early on and then the mother of all gusts hit the fleet on the opening run. The result was carnage with only Bolland staying upright and taking the win as a result, from Watson and Le Mare. McVicar, unfortunately, had to retire after an issue with his main halliard, the issue being that it broke. The wind was equally squally for race 5 although only the hardy rump of the fleet was left to ‘enjoy’ it. Some would say the foolhardy rump. Bolland won again, this time from Ellis and Watson who had had a ding-dong battle over the last couple of laps. And on to the final race. Thankfully the wind had subsided a bit but Bolland, proving that there is life in the old dog yet, won again after a really close tussle all the way round with Watson. 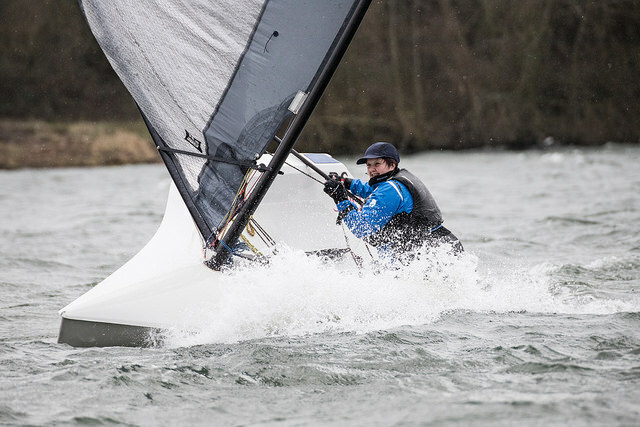 Ellis rounded off a useful regatta with another third. If it was cold for the competitors, spare a thought for the committee and rescue boat crews who did sterling work all weekend. They were last seen under the hot showers with their drysuits still on, although that could just be a Stewartby thing. Thanks anyway. 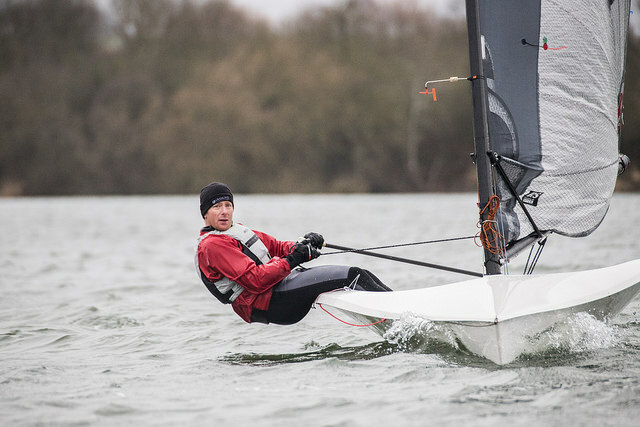 Next stop is fleet training at Thorney Island next weekend followed by the Emergence of Seasons at Queen Mary and the Spring Champs at Bowmoor on 10-11 March.